Please ensure that all USB cables are kept as short as possible. Using Cat5 cable instead of all USB cables eliminates the USB max length of 9ft problem. 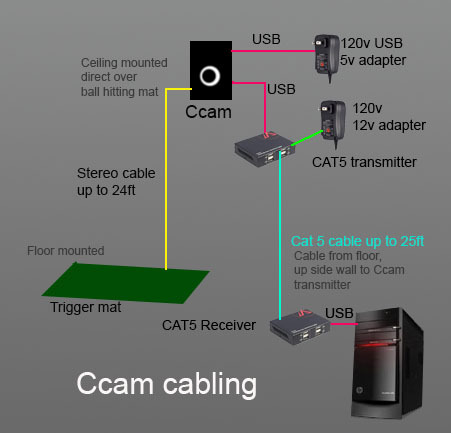 Because the cameras are USB, USB to Cat5 converters are required. 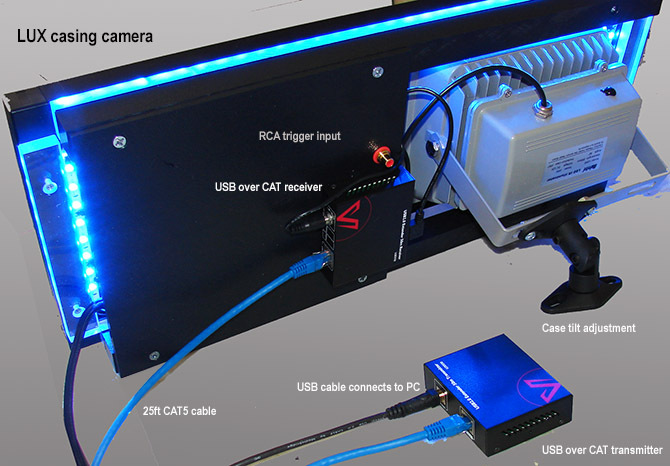 Cat cable to the cameras can be up to 50ft using this wiring option. The above diagrams shows how to wire up a PX5 or F2 system using USB over Cat. Note that all cables are supplied but if you want to pre-wire then these cables are required. Note: if using long cables (i.e. 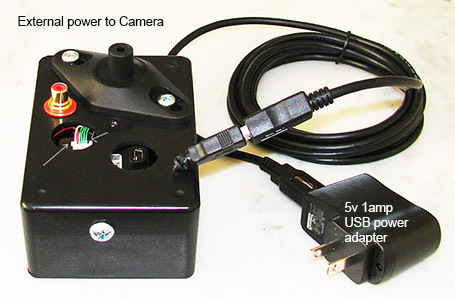 15ft or longer) or connecting 3 or more cameras to one PC then the cameras will require external 5v power! External 5v power is supplied by low cost USB 5v, 2 to 4 amp USB adapters. Older cameras (as of last year) do not feature 5v external power connectors so these will have to be retro fitted. Contact us for details on how to fit external 5v power connectors to your cameras. Note that each USB hub requires a 5v power adapter and the Cat5 to USB receiver requires a 12v adapter. The systems are supplied with a number of cables. 5 9ft long USB extension cables. 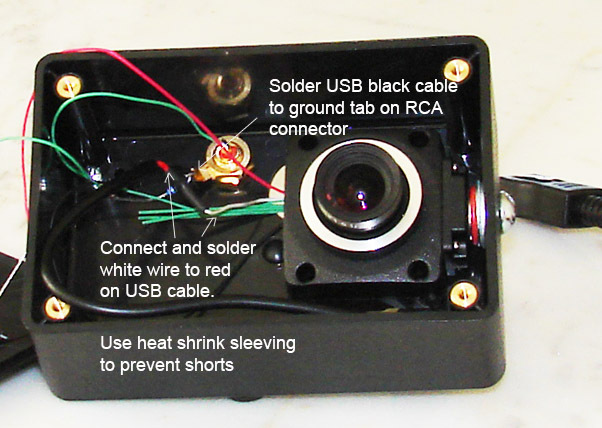 Long USB or USB over CAT cable connections require that the camera be supplied with external power ! 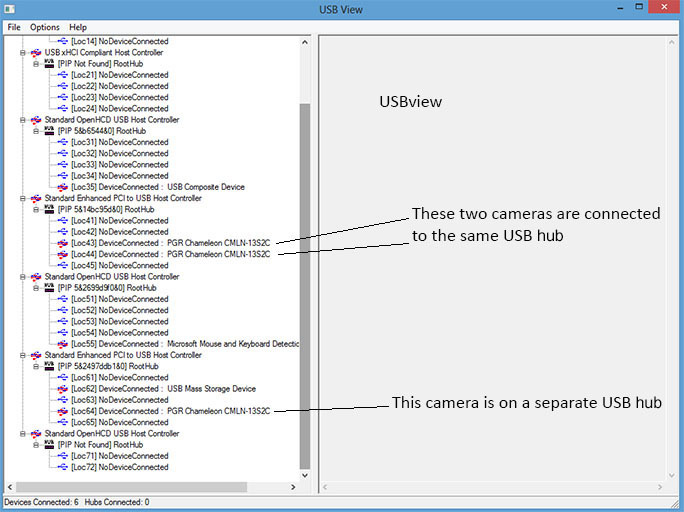 Even though powered USB hubs are used to make up a long USB cable length, the device (in this case a camera) connected to the end of USB cable and hub chain is not powered from the hub! Tests using 3 powered hubs to make a 24ft long USB cable (as in the above image) showed that no power - or at least not sufficient power - is getting to the camera. Not even enough to illuminate the built in camera LED. So it would seem that the power in such a cable setup is still being drawn from the PC and not from the powered hub. Using 1 or 2 hubs seems to work but - depending on the PC - the camera may be detected by the PC and even capture images in video stream mode but when a trigger signal is sent to the camera - nothing happens. This issue also applies to USB over CAT connections even though the adapters are powered. 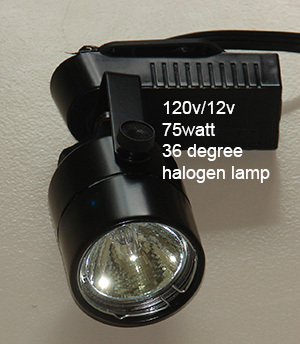 Once the camera is supplied with external 5v power, then all works just fine. i.e. 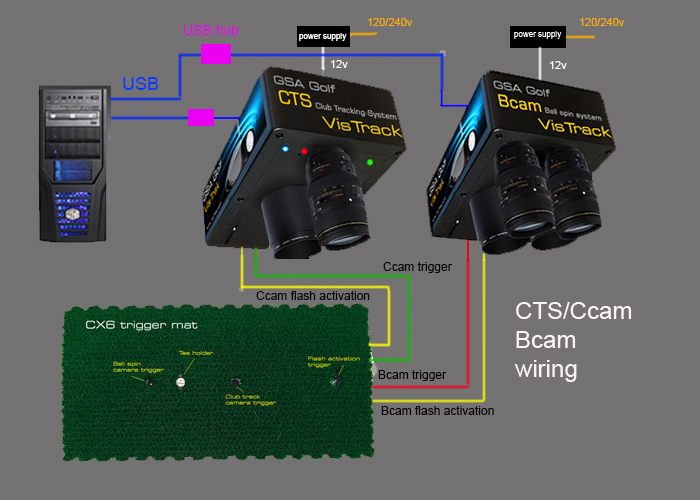 multiple cameras on long cable connections respond to triggers and capture images. We're now fitting an optional external power cable to all cameras to ensure that cameras always get full power should the PC's USB power source drop down or out. 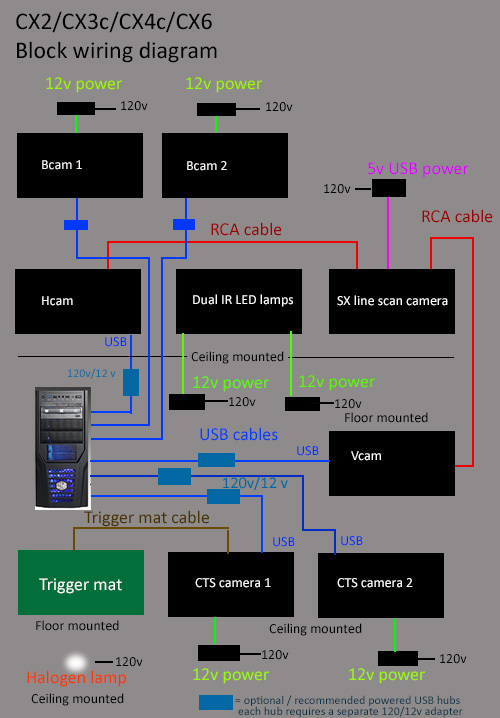 Note: Do not connect more than one camera to each USB hub! An alternative to running USB cables over long distances with powered USB hubs every 9ft, is to use Cat5 cables with a USB over Cat unit at either end. 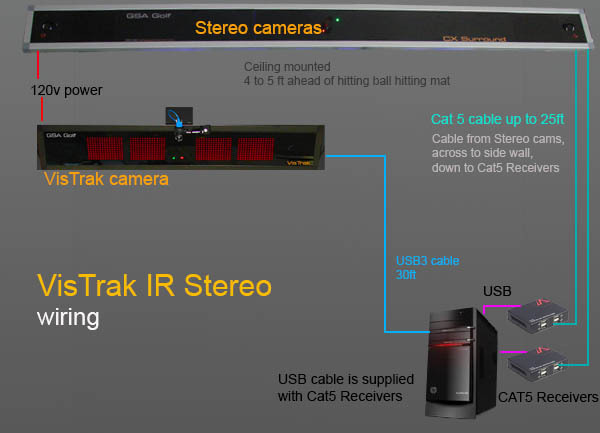 The camera is connected to the receiver with the power adapter via a short 6ft USB, then the long (25ft or so) cat cable from the receiver to the transmitter, and then the PC to the to transmitter via a short USB cable. 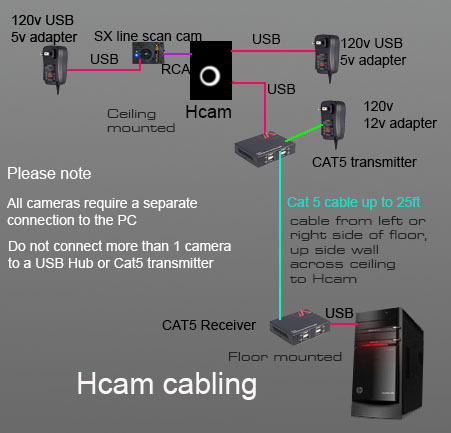 Note that the camera itself has to be supplied with external 5v power when usung USB over CAT ! 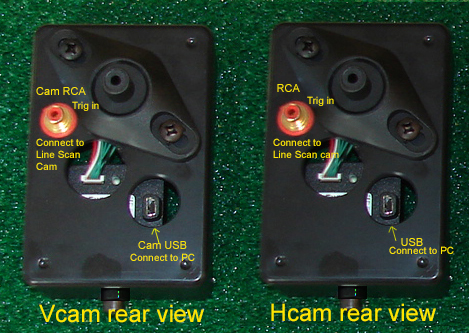 Connect the RCA cables as shown above from the SX cam to the V and H cams. 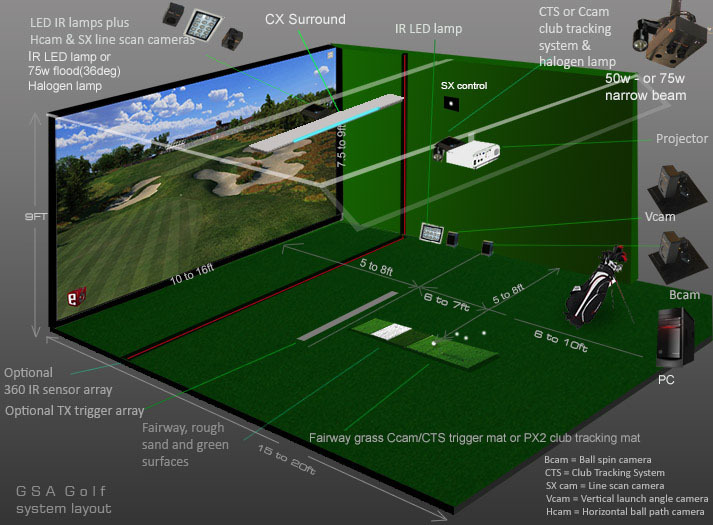 Note that the Hcam is close to SX cam so there's just a short RCA cable for this. As the Vcam is floor mounted, a long 24ft RCA cable is supplied. 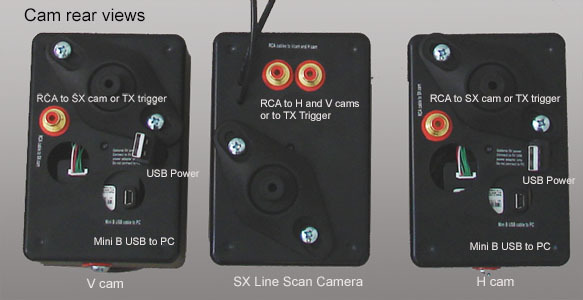 The TX trigger array has 3 RCA cables connected to it that allow you to combine the array with the LS camera. 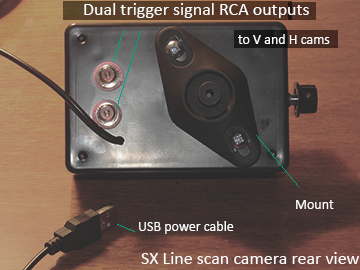 Two male RCA cables coming out of the TX array are connected to the V and Hcams. 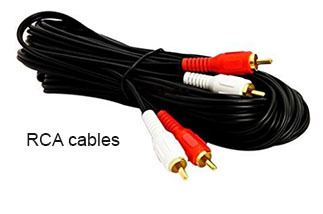 The third RCA cable is female that allows you to connect one of the SX Line Scamera RCA outputs to the TX array. Only one output from the SX needs to be used. 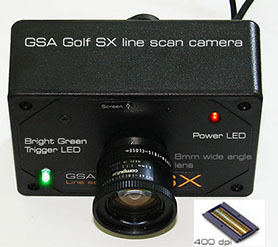 The other SX output is left unconnected. 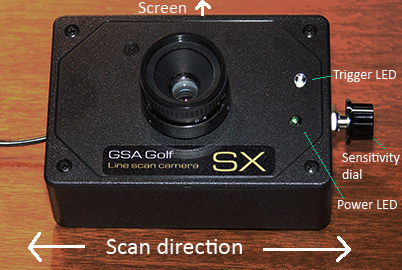 the line scan camera is not able to pick up lower shots and/or putts. Quad channel USB cards can run up to 16 cameras at full frame rate without any image tearing or power loss drop outs on a single PC. 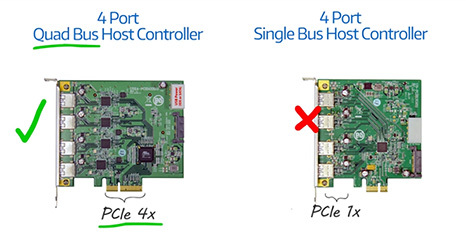 Note that most ports on PC mother boards - and on basic low cost USB PCI adapters - use only a single channel and the ports (usually 4) are all shared on this single channel. either additional multiple single channel cards should be added to the PC (i.e. one for each camera) or a quad channel USB card should be added.. 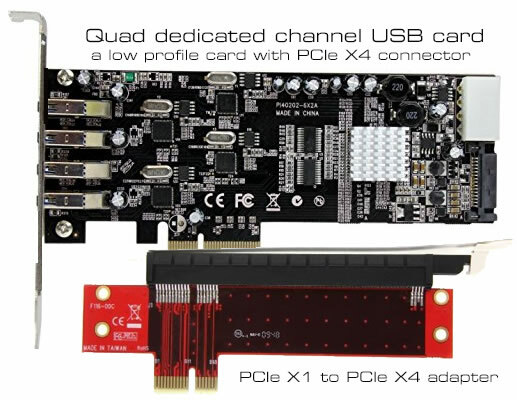 The advantage of a quad channel card is that it only requires one PCIe slot on the PC mother board and most PC's only have one or two free PCI slots. 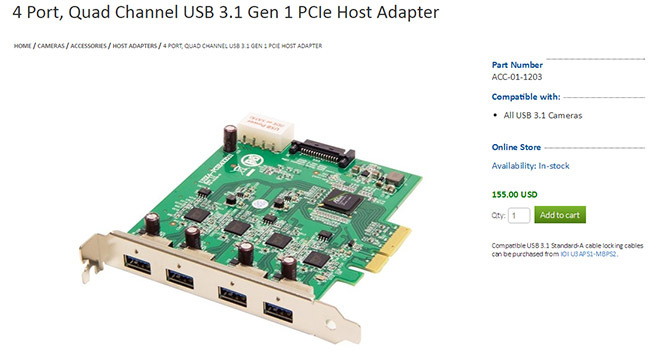 You'll need a free PCIe X4 or greater slot in your PC to install the Quad channel USB card. 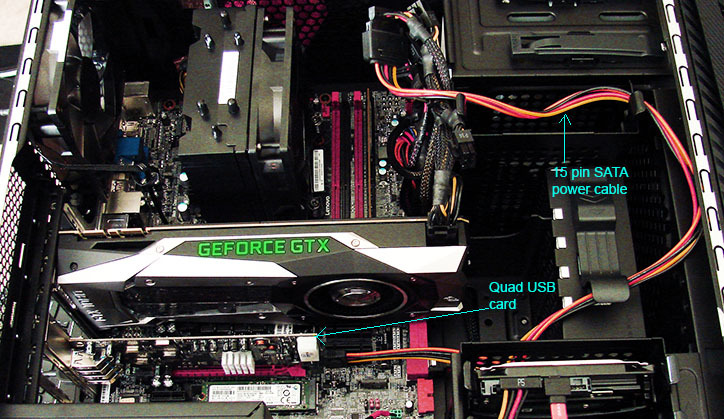 Use a SATA power extension cable connected to a free connector on the cable out of the PC's power supply to power the card. Using this card you will see that there will be 4 new extra USB controllers added to your PC so that each camera has it's own Host Controller and can thus run at full speed and power. 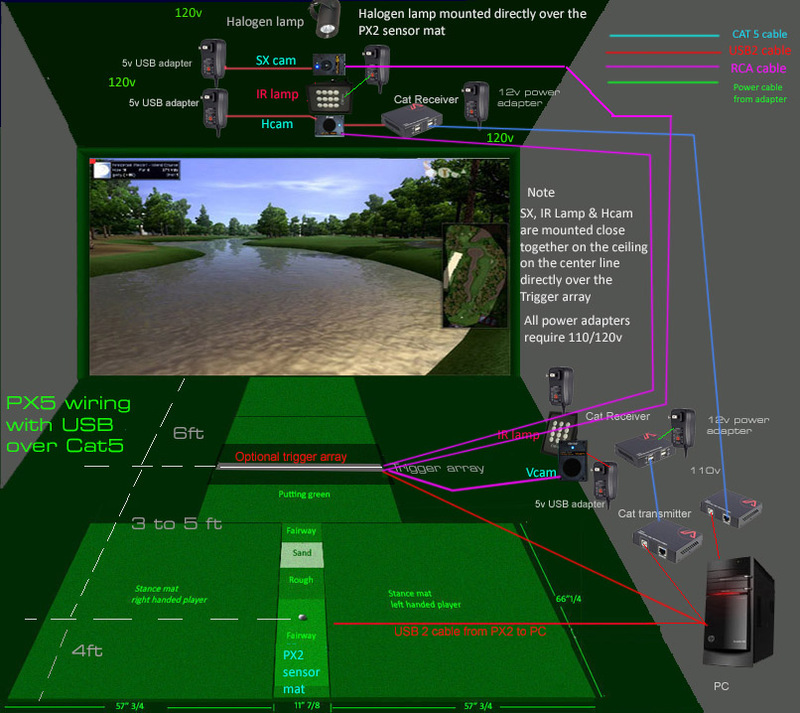 Connecting multiple cameras to ports that share one controller will split the USB 2 480MBit/s speed. If using your own PC you may find that there is not an PCIe X4 slot available for the quad USB card on your PC's mother board. Note: If it's just one extra camera that is not working then a lower priced single channel card will probably suffice, otherwise you'd require a multi dedicated channel USB card. 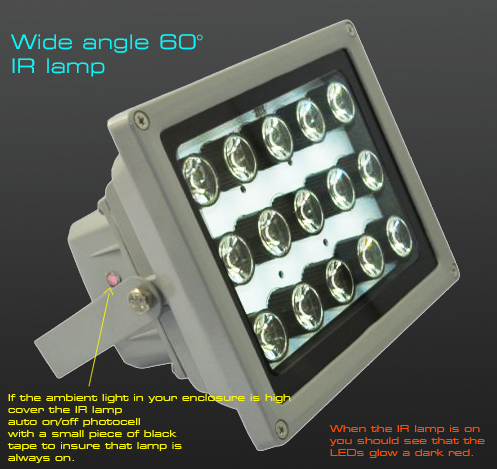 will be shared to the cameras connected to it and this will cause the cameras to not function as each camera requires 2.0 watts to function. 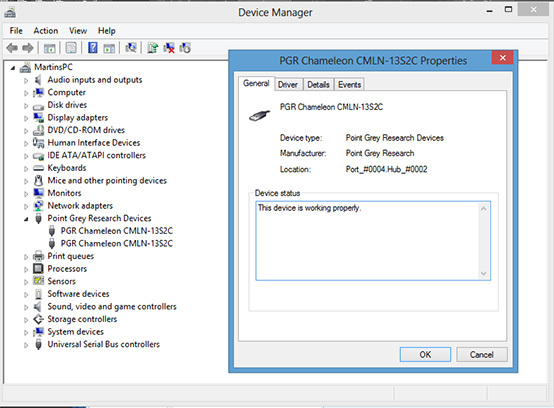 This is quite easy to do using the Windows Device Manager. Simply connect all the cameras to the PC with just the USB cables and double click on the camera in the Point Grey Research Devices. Check that the Hub_# number is different for each camera. If they are the same then the cameras are running on a shared USB bus or hub so you should remove all other cameras from this port. In the above example, two cameras are showing up on a single hub. One of these cameras should be connected to another USB port on the PC (back or front) to see if it appears on different hub. If not, then you should add a new PCIe USB card to the PC for this camera. When running the USB cables from the camera to the PC ensure that the USB cable is not close to or touching any other cables such power cables and RCA cables and not touching metalic surfaces. The camera manufacturer strongly recommends that the USB cable be no longer than 3m or 12ft and that they can't guarantee stability when extending - even with active USB cables - beyond this length. We've noticed that some PC's and cables work better than others so you may find that all is OK with cable lengths up to 16 ft but if not then you'll have to place the PC closer to the cameras in order to keep the cable length to 16ft or add a powered USB hub. 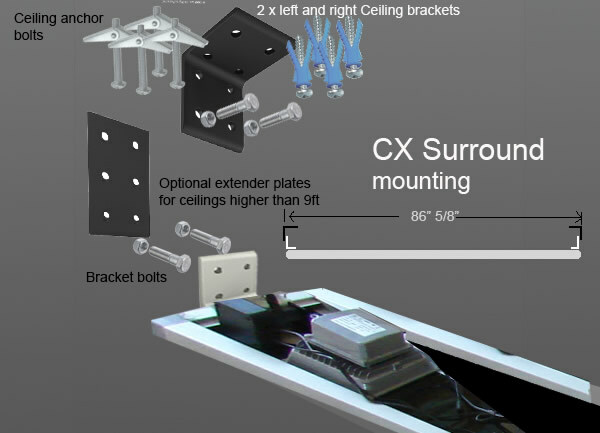 The overhead Hcam presents the biggest problem here as you'll need around 6 ft to get from the camera to the wall of the enclosure and another 9ft or so to get to the floor where the PC is. 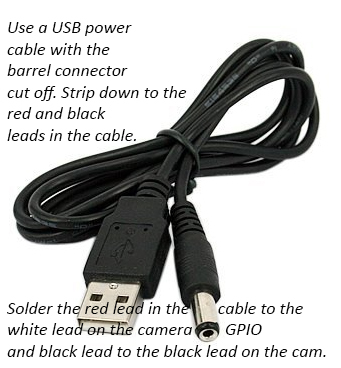 USB camera cable length problems are overcome by using a separate powered USB hub such as the above unit that costs just $26.00. Connect the hub to a USB port on the PC using the supplied 5ft miniB USB cable that comes with the hub. 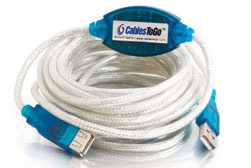 You can also extend this cable with another 6ft with a USB extension cable. Also connect the hub power supply to the 5v input on the hub. Then connect the camera to one of the ports on the hub using 8 to 12 ft USB cables. 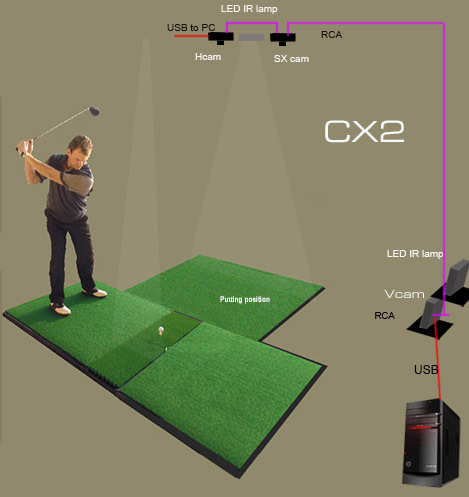 This should give you a total USB length of up to 20ft. 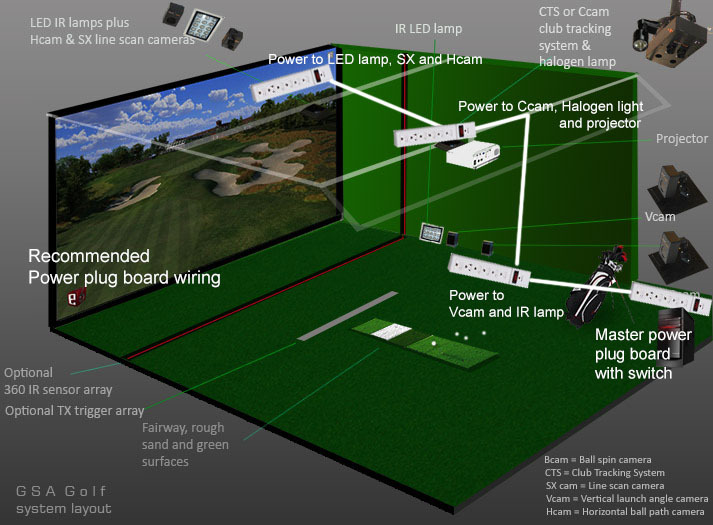 Most probably you'll only need a USB hub with the Hcam camera as this is usually the furthest away from the PC. Note that you can only use one USB hub per camera so if you require USB cable lengths greater than 12 or 16 ft on other cameras then you'll need extra hubs. Note: Do not connect more than one camera to each US hub! Also note that PC mother boards designate power to each port on the internal hub so that 4 USB ports may only get 125mA each which is insufficient power for the camera. 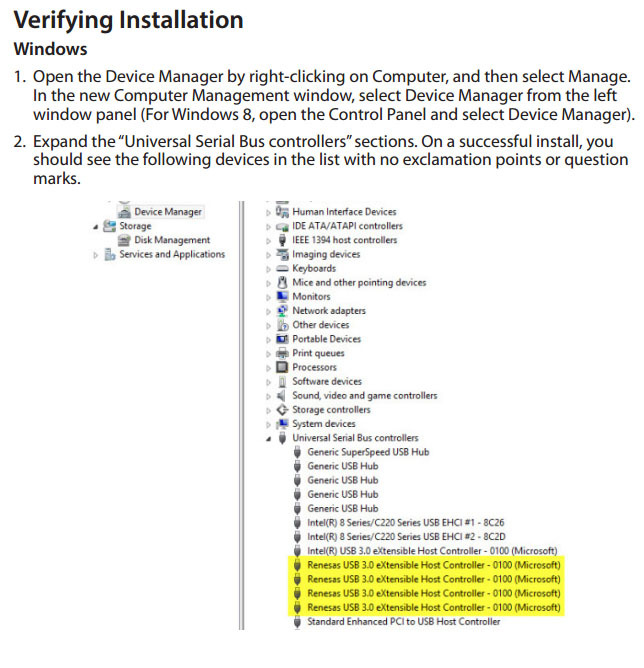 Note that this designation process - also known as enumeration - can vary from one PC mother board to another so while multiple cameras connected to one PC may work well, they may not work on another PC. 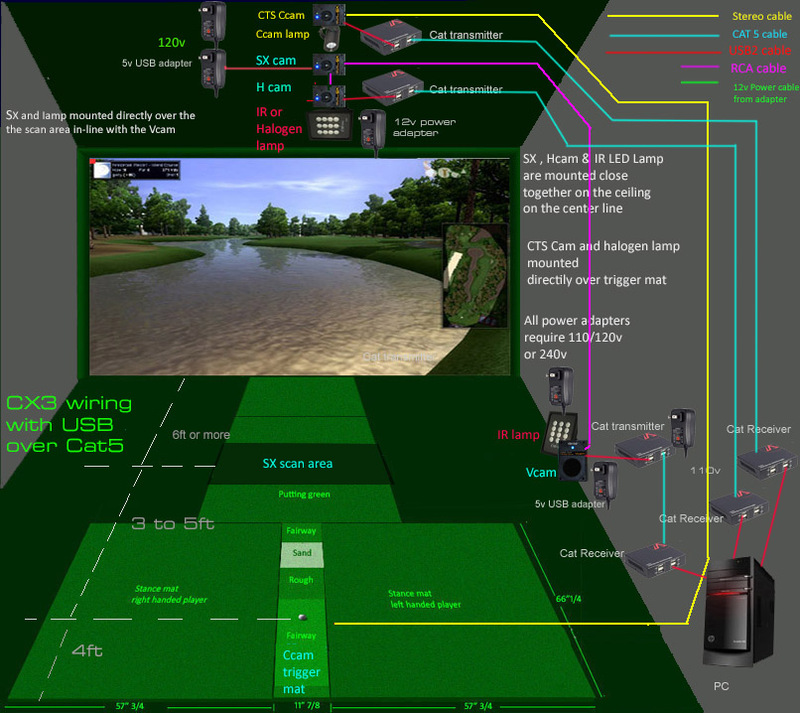 Most standard PCs these days can easily cope with 2 cameras and usually 3 cameras too but anymore than this will require adding powered USB hubs to each camera in addition to a multi dedicated channel USB adapter to the PC. 1. Scroll to the right and type 'Power Options' in the search field and click on it. 2. Click 'Change plan setting' on your chosen plan. 3. Click 'Change advanced power setting' on your chosen plan. 4. Find 'USB settings' and open. 5. 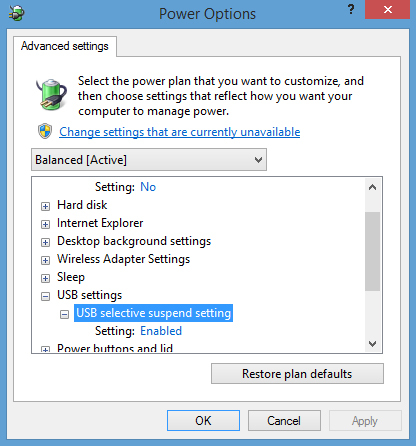 Find 'USB selective suspend setting' and change it to disabled. We noticed that when using "USB over Cat" that power is still being drawn from the PC's USB port even though the USB over Cat adapters are powered. We've also noticed that when two cameras are triggered at the same time ( as with the V and H cams) , that the power drops on some customers PC's resulting in a loss of image even though the camera is still running. The cameras draw more power when capturing and transferring images than they do when in their normal idle state and this sudden extra power draw can cause the PC's USB power monitors to momentarily reduce the power going out to the cameras. Existing customers cameras can be retro-fitted with the power cable by us should it be required. The images above show how to fit a USB power cable yourself.